← Ginger goes to school. 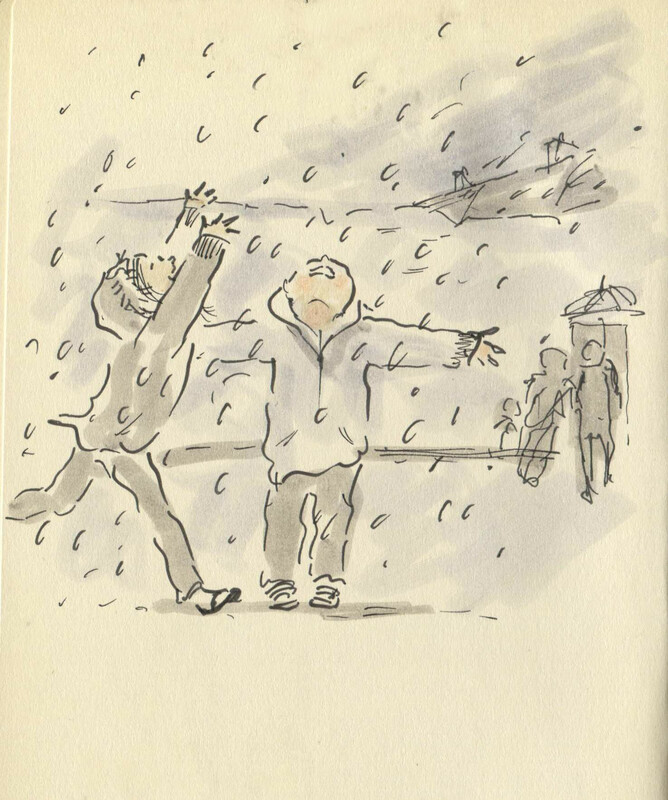 Posted on January 13, 2015, in Uncategorized and tagged Children, Doodlemum, Drawing, Family, Humour, Illustration, Life, Pen and Ink, Sketchbook, Snow, winter. Bookmark the permalink. 9 Comments. Drove to Abergavenny today over the heads of the valleys and it was snow all the way. Gorgeous. Hahaha we do indeed panic and stockpile bread and milk. On the Gulf Coast it hardly ever snows, but when it does the schools let the kids out to play in the flakes. Absolutely they should! I hope you see a little snow this winter.